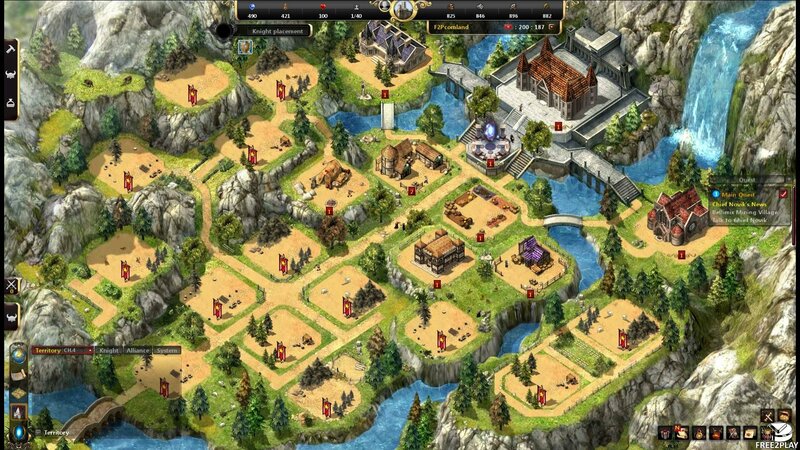 In Rodinia War players can enjoy a unique blend of Empire building strategy and classic 3-D MMORPG where they can control their own characters. This unique blend of features provides different ways to go to the game's ultimate objective: fight in PvP battles to conquer territories, for resources and for glory. In the game our main objective in controlling as much possible territories, erect imposing cities, expand your frontiers and train armies to conquer the continent and defend yourself. 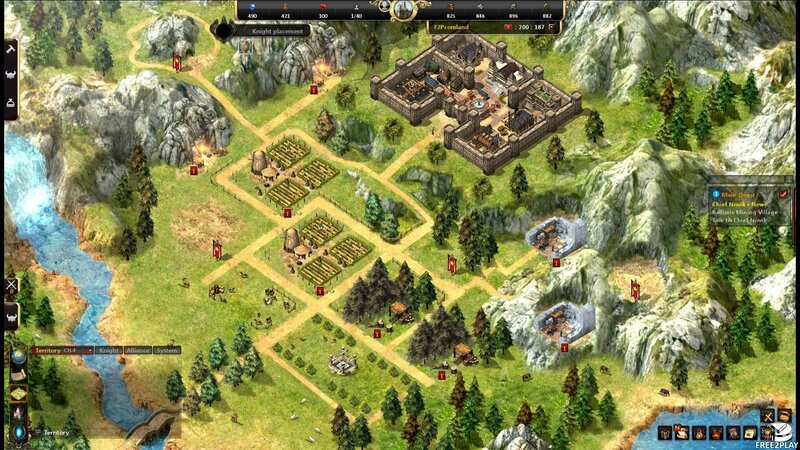 The main strategic aspect of the game focuses on building an Empire itself, constructing buildings, upgrading them, and unlocking new features. On the other hand, in the MMORPG aspect of the game we can hire our own Knights, individual playable characters that can be controlled in a 3-D MMO RPG environment, able to move around, pick up quests and take on a variety of enemies in battle to gain extra resources and help improve the Empire. With time and resources, players can build all sorts of different buildings that will give them access to different features; in addition upgrade these buildings improve their efficiency, which provides more benefits to the city. Town Hall - This building allows players to build other buildings and by upgrading it reduces the time it takes to upgrade them. Knight Mansion - Here we can hire Knights to join our cause; they can lead our armies, manage our cities as magisters as well as complete quests for us. Resource Production - There are a variety of buildings available such as Lumber Camps, Iron Mines, Quarries and Farms to acquire base resources that can be further refined with a Sawmill, Masonry, Smelter and Flour Mill; they are a constant source of resources that can be used to improve your city or train units. Using different types of building players can train different types of troops, and each troop is strong against certain enemies but weak against others. Archers - These powerful infantry units armed with bows are very powerful against melee combatants as the Gladiator, but they are very weak against cavalry charges. Heavy Cavalry - These powerful and defensive units are fitted with plate armors and are virtually unstoppable on the battlefield. Battering Ram - This unit is able to break down the Castle walls with extreme ease, leaving defenseless the units that shelter behind the walls during a siege. Scouts – This unit is used to explore the enemy territories. They are fast and agile, but they do not carry weapons. Their job is to warn of potential threats. Spearmen - A classic infantry that is especially strong against cavalry unit. Magicians - This unit is especially lethal against heavy cavalry. Their spells can penetrate up to the toughest armor. Catapults – These machines can throw stones above the enemy walls and destroy the buildings inside the cities. 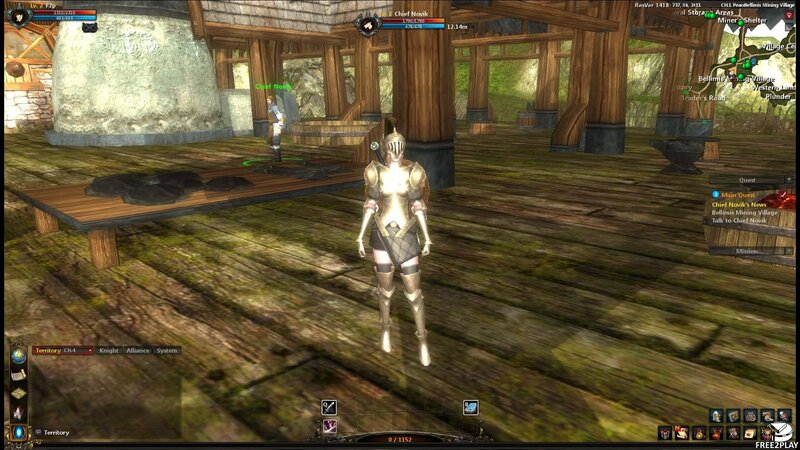 The Knights play basically two roles, depending if they are used in the strategic part of the game or in the MMORPG part. In the strategic part they can buff the units of your army and improve the production of your cities. 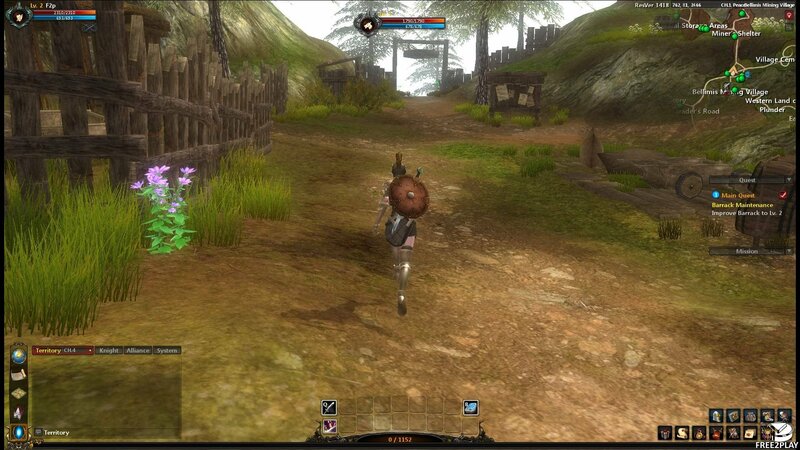 In the MMORPG part you can control them directly and fight using different skills that can be improved with talent points.